It is a granular fertilizer, which contains all the nutrients in each grain, with fast dissolution. Indicated for crops of maximum nutritional requirement. Composition low in chlorides and fast assimilation. - Composition: EC fertilizer. NPK fertilizer (Mg) 15-15-15 + (3) with micronutrients. - Dose: Apply evenly spreading at a ratio of 40g / m2. 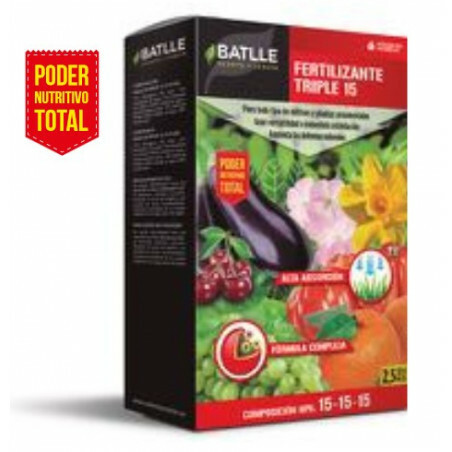 In medium-sized plants provide from 30 to 50g and in adult trees from 100 to 150g. Repeat every 45 days.